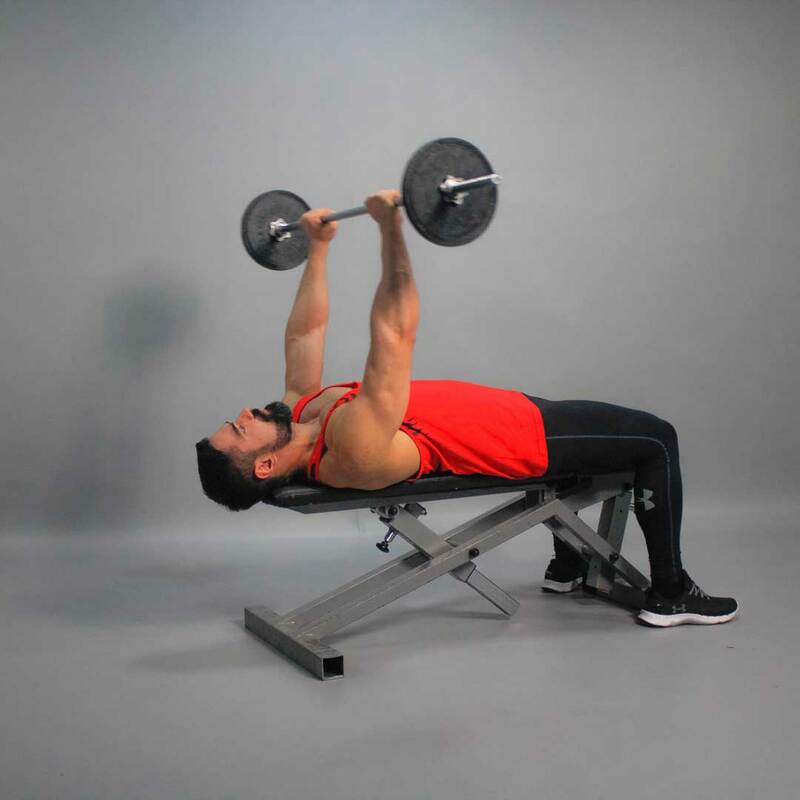 Grasp a barbell with upper grip. Your wrists should be 14-16 inches apart. 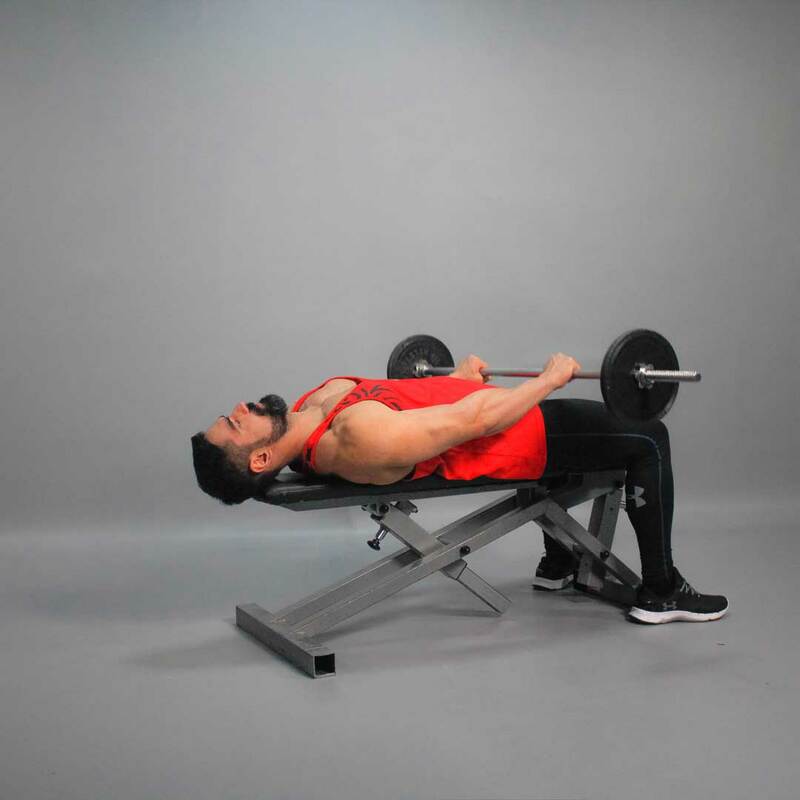 Lie on a flat bench. Hold the bar at your upper thighs with a slight bend in your arms. This will be your starting position. Inhaling, lift the barbell up in an arc behind your head. Watch your arms, they should be kept straight. The bar moves at the flat angle of 180 degrees. At the end of the movement, your arms should be behind the head and parallel to the floor, palms facing the ceiling. 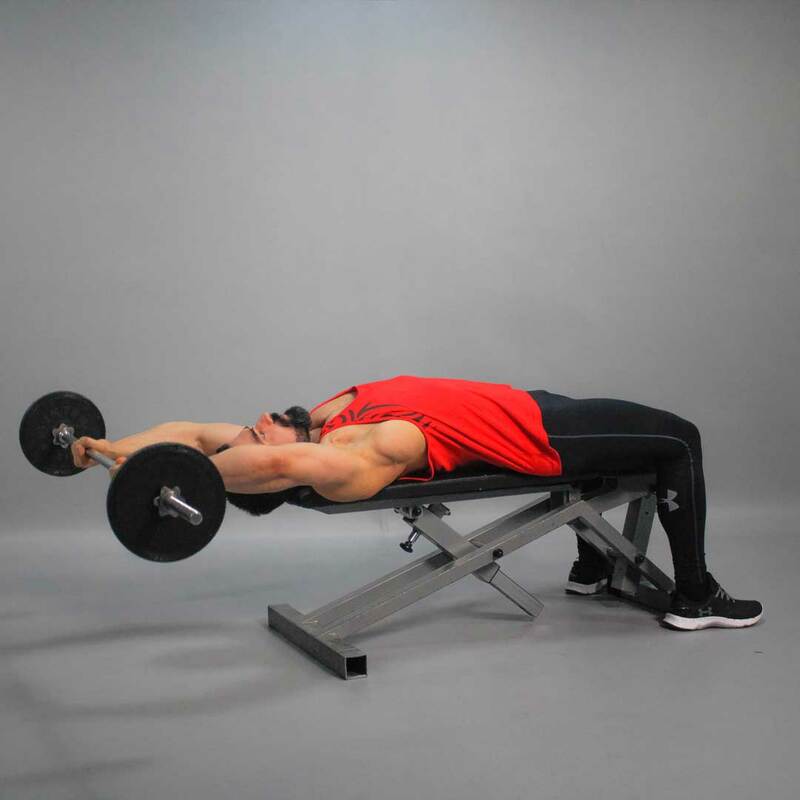 Exhaling, return the barbell back to the starting position.